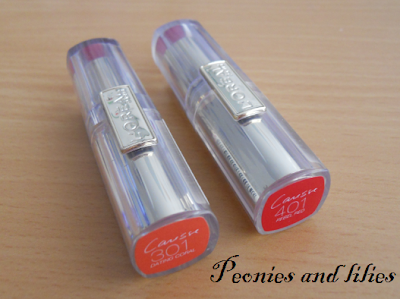 A hybrid between a tinted lipbalm and the traditional lipstick, they are perfect for people like me who suffer from dry lips and prefer the lightweight feel of a lipgloss. Dating coral is the perfect my lips but better shade for everyday wear and Rebel red a great choice for a brighter lip colour or for a night out. Both lipsticks have the lightweight feel of a lipbalm, and the pigmentation and glossy finish of a lipgloss. I find the glossy sheen wears off quite quickly, but the colour almost stains the lips, so it lasts for a good while after. 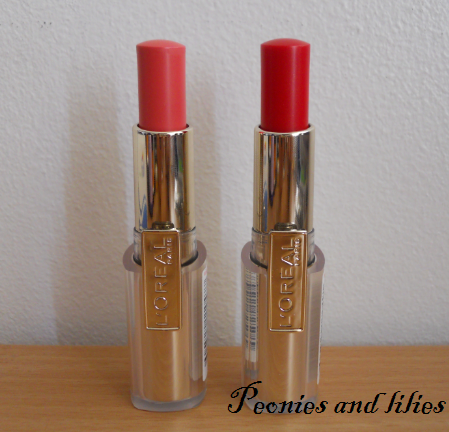 The lipsticks aren't a substitute for a good lipbalm, but they do contain jojoba butter to lightly moisturise, and both have now become firm favourites in my make up bag. Have you tried any of the rouge caresse lipsticks? What's your favourite shade? 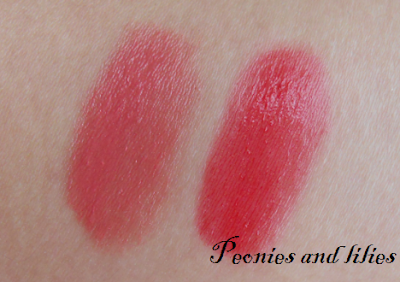 Wow these colors look very pretty and wearable. Great review hun. Sounds like a great product! I really love the two colors that you picked up, too!